One50 is a new generation late-heading perennial ryegrass providing outstanding drymatter production and high quality feed for silage and hay. It is high yielding and offers excellent summer, autumn and winter production with strong quality late feed. Due to One50’s late-heading date it maintains vegetative leaf production into late-spring and early-summer, making pasture management easier. Recommended for rotational grazing, One50 is available with AR37 endophyte for improved persistence and production advantages. One50 perennial ryegrass is ideal for producing high quality feed for silage and hay in difficult spring environments. Because of One50's late-heading date it maintains vegetative leaf production late-spring and early-summer, making pasture management easier. This contrasts with most early to mid-heading ryegrasses which require good grazing management to control seed head production through this period. We have found One50 to be an asset to our dairy business. Its high dry matter production and quality throughout the year is exceptional. One50's ability to be shut down over the hotter summer months and then restart in late February provides us with high quality feed 3 weeks after the first watering. I feel having a dormant plant in the soil over summer is helping the soil health. Over the last four years we have gone from 10% to 80% sown to One50 and find it fits our grass based system well. The One50 was sown mid-September 2018 after 2 crops of Knight Italian ryegrass which was used to clean up weeds, kikuyu. This process started September 2016. I was able to graze the One50 within 8 weeks. The first hectare section carried 8 cows and calves for 10 days and is now ready to graze again (see photo). On the other 7 hectares, 18 cows and 20 calves, were put in on the 7th of December and there was still plenty of feed. I ploughed the paddock and spread the One50 with a super spreader before harrowing and tyre rolling and I had a good strike. The One50 has been quick to get going and I am very pleased with the production at this early stage. For the cost, there is no better perennial ryegrass on the market – One50 is tough, reliable and produces well, however it’s the variety’s persistence that impresses me most. You’ve got to buy a quality variety that lasts, and that’s One50 in a nutshell. 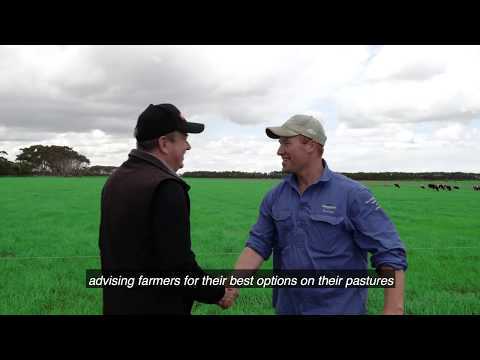 The only reason that we don’t go to 100 per cent One50 ryegrass is due to the high temperatures we can get in summer, but its autumn, winter and spring growth is fantastic. 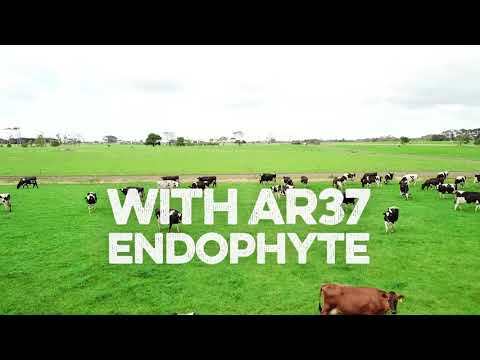 Greg Mitchell (Pasture Agronomist with FP-AG) included One50 AR37 endophyte in a pasture variety grazing trial sown at Parawa (on the Fleurieu Peninsula SA) in September 2011. Three other common perennial ryegrasses were also included, all ryegrasses had to contend with infestations of African black beetle and blackheaded pasture cockchafer through the following autumn. Greg observed that the One50 AR37 regenerated more densely and grew more strongly through winter 2012 than other ryegrasses, with local dairy farmers observing the same benefit at the end of winter. One50 coming into its second year, responding to rain quickly in Autumn after a long dry spell. Planted some One 50 Ryegrass by Agricom and was blown away by the spring and summer performance. Halo tetraploid and One50 diploid perennial ryegrass, both with AR37 endopyte, are looking fantastic at about 6 weeks old. Ready for their first grazing at Rangers Valley Feedlot, NSW. This late heading perennial pasture blend including herbs is ideal for high rainfall areas or irrigation. The MAXImiser Irrigated Pasture Mix has been designed for optimum feed quality and strong year round growth with excellent late season performance. The inclusion of herbs (Choice chicory and Tonic plantain) with white clover provides high quality forage to increase profit for your farming system.